The company reported a record second quarter thanks to increased sales of the Galaxy S8 and S8+. Strong sales of its latest Galaxy S8 smartphone and increased demand for its memory have led Samsung to have a record second quarter. The company released its financials for Q2 today and the company earned $54.8 billion total with $12.6 billion in profit. All of Samsung's products performed exceptionally well with its smartphone and memory divisions leading the charge. The company's RAM and solid state drives were highly sought after as there is currently a shortage on the market. This strong demand did lead to Samsung paying higher component costs but there was still a large increase in the earnings of its mobile division thanks to the release of the new Galaxy S8 and S8+. According to the company, the new models have already been able to outsell the Galaxy S7 in almost all regions. Both models of the Galaxy S8 sold equally as well, showing that consumers are still interested in larger phones after the whole Note 7 debacle. Sales of Samsung's displays also rose due to high demand for its OLED panels while its TV sales only increased slightly. The company has also seen lower sales of its mid-range phones but a refresh of its Galaxy J series should be able to renew demand in the sector. 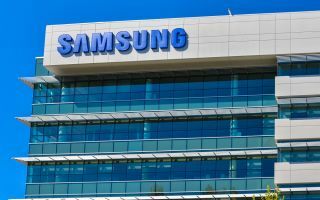 Despite its highly successful second quarter, Samsung has cautioned investors going into the third quarter that sales might not be so strong as it prepares to release the next smartphone in its Galaxy Note line.